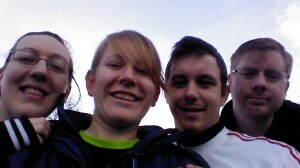 This morning Dan and I headed over to Peterborough Parkrun, picking up our non-running friends Vick and Alex on the way. This photo looks like we are cut and pasted on the skyline. I promise you we were there! Vick and Alex will be the first to admit they’re not the fittest of people and both are looking to lose weight before their wedding next Easter. Alex gave up smoking as one of his New Year’s Resolutions so is looking to improve his general fitness anyway. Initially Dan had planned to run off on his own and I was going to run with Vick and Alex, but Alex was a little optimistic about his fitness level so decided to run off ahead with Dan. It didn’t last long! I’d drilled into Vick that we would start out really slowly, almost no more than walking and if she had anything left in the second half we would pick the pace up a little. After a third of a mile we had caught up with the boys and it didn’t take us long to pass as Alex was struggling with the going slow concept and kept rushing off then having to walk. I think Vick made it to about a mile before taking a short walk break despite being out of breath from not long after setting off. I haven’t seen her since Christmas and we were long overdue a catchup. Unfortunately I seemed unable to have a one sided conversation and kept talking about things that required Vicki to find some extra breath from somewhere to reply. I did get marginally better towards the end though. The course is two laps around and across the lake and we were lapped by the front runners after just over a mile. Several of the quicker runners yelled out messages of “Well done!” and “Keep it up!” The first couple of people who commented made me feel like shouting out “I normally run faster than this!” But then I felt bad. They thought they were doing a nice thing by shouting encouragement and I have beamed in the past when faster runners have acknowledged me as they overtook or headed back in the other direction, just as Vicki was doing now. She commented several times on how friendly everybody was and I started thanking all of the runners or marshals as they loudly spurred us on. There was a photographer on each lap and also at the finish. 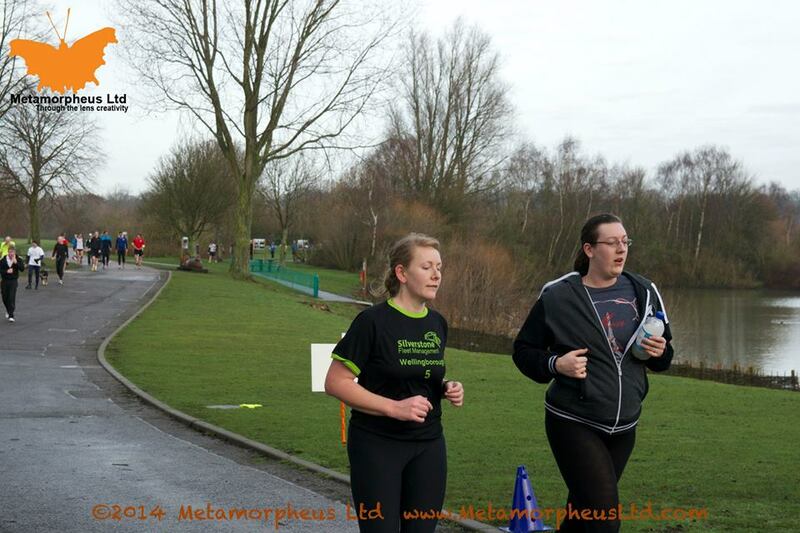 Unfortunately even with three opportunities thrown at me I still failed to get a decent race photo! Some people clearly were not meant to be photographed! The boys however now have a great set of race photos. We had been running no faster than a steady speed walk the whole way and at times I was almost jogging on the spot. Quarter of a mile from the finish Vick got a stitch so slowed to a walk to try and get rid of it. Frustratingly the boys passed us, but I used this as an incentive to get Vicki back running again. She was excited about going for a sprint finish and I said I would let her know when she could kick. Just as the finish came into view up a slight hill I gave her the go-ahead but wasn’t expecting for her to take off… She shot off in front of me and my stunned legs didn’t catch up with her until we crossed the line! The boys had had a bit of a kick too, and only just finished in front of us. They’ve both already said that they want to do it again and would be up for making it a regular activity. Excellent news! Final time: 40:24. Personal Worst, but also a Personal Worth-it! 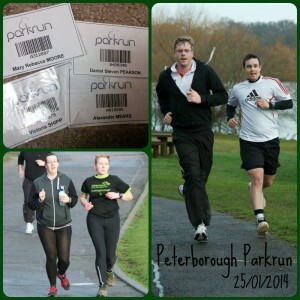 Maria @ runningcupcake recently posted…And relax! Yay that they enjoyed it! love converting people to parkrun. We did try one of our friends but she was so competitive and hadn’t run much that she found it really affected her confidence when she didnt do as well as she hoped which was such a shame. Hehe! I find myself having one sided conversations all the time but when I have to do it I struggle to keep going and know what to say! What a shame about your friend. 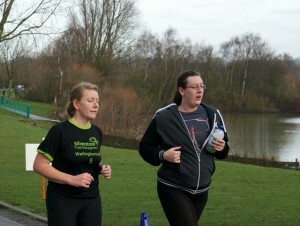 I hope she gives it another go as Parkruns are so much fun and inclusive.